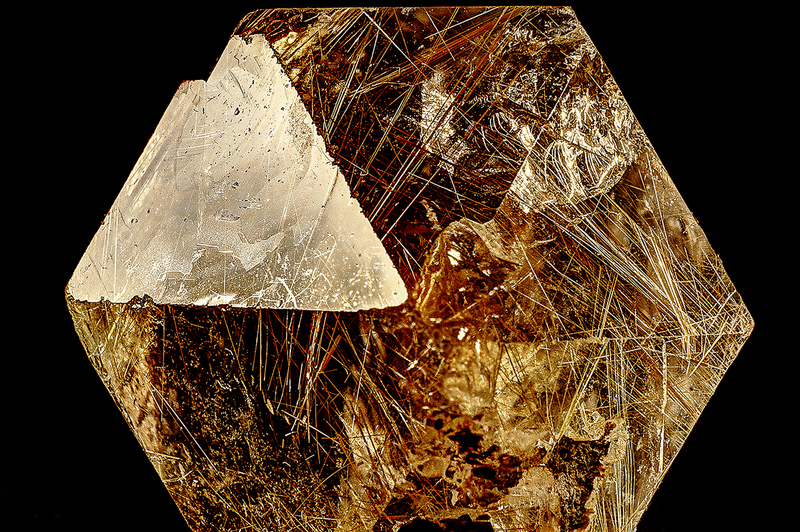 The picture shows quarz crystall with rutile needles spreading chaotically in all directions. They are encompassed by a perfectly symmetric grown quarz . 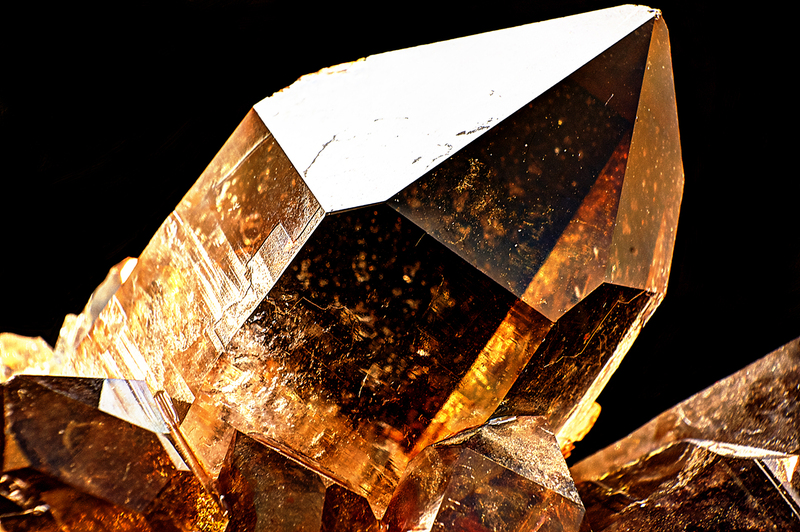 This union of chaos and order mesmerized in crystal fascinatezes me over and over.